General sponsor of the Ice Rink is Jacobs Monarch. With the territory over 18 000 m2 Gorky Rink becomes one of the biggest and brightest all-weather ice rinks in Europe. The ice rink was built up by 172 people in 54 days and will be served by 84 workers. We’ve constructed a place where over 4000 visitors are able to skate at the same time comfortably. 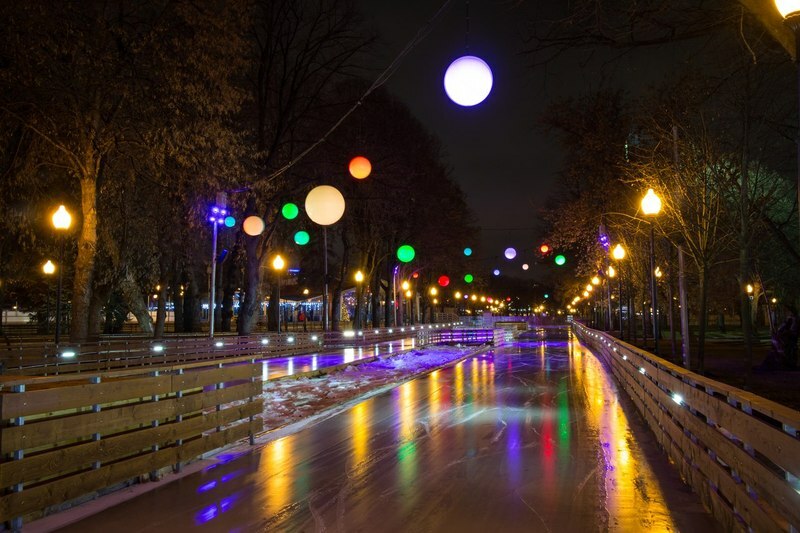 Gorky Park has become one of the first in the world to build in 33.000 manageable LEDs under the ice. The massive light installation composed by 400 light boxes has also been created in the centre of the rink. 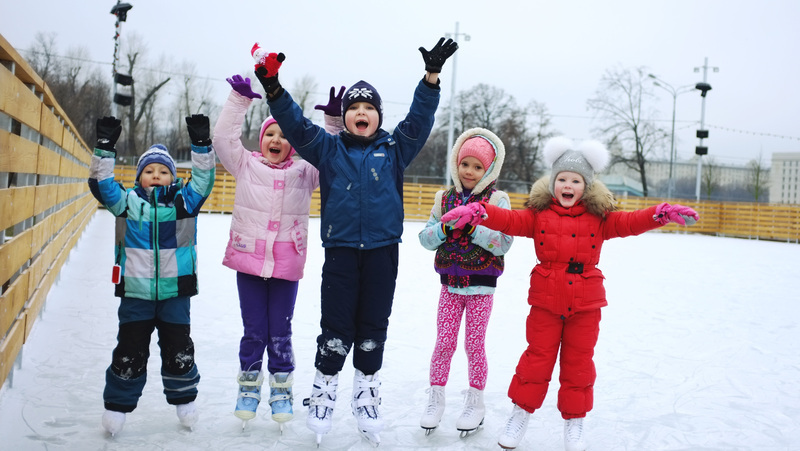 The central idea of the 2015 Gorky Rink is «Imagine». The image forms the illusion of a tunnel that transports a visitor to the colorful space of the ice rink surrounding with the atmosphere of inspiration, fantasy, geometry, emotions, bright colors and music. 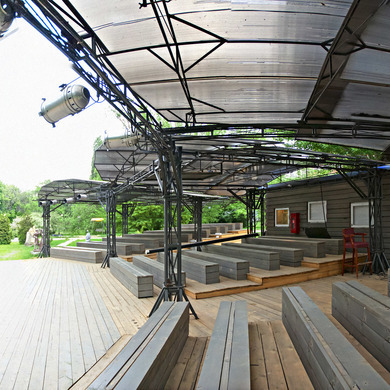 «For the first time Gorky Park and Muzeon Art Park will be opening the winter season as a joint space. Our main inspiration this year is fantasies and dreams. We will be celebrating a milestone in the park history - the fifth anniversary of the Gorky Park ice rink: the most beautiful, creative and cosy. The ice rink amazes and inspires, grooves and excites those who want to enjoy winter and get the most blazing emotions”. 15 ticket offices and 5 rental centers serve the rink. The feature of this year is a separate pavilion for those who came with their own skates. Those who would like their children to learn riding skates, will be able to use 30 penguin skating aids that will help children to feel more confident on the ice. Food on the ice: more comfortable and accessible! 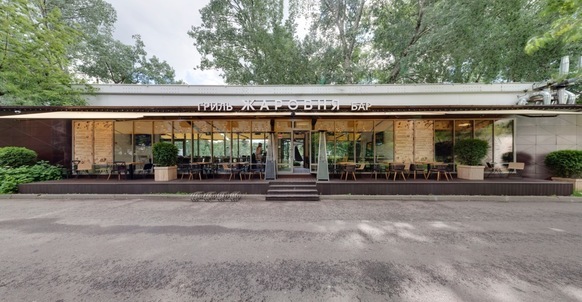 This year foodcourt is located right on the park’s сentral alley where the visitors can warm selves up with hot coffee or tea and take a pleasant gastronomic break at park’s cafés and restaurants. The full variety of food is available around the rink (Mediterranean, Georgian and Spanish cuisines, traditional Russian pancakes and beverages, sandwiches, chebureki, tea-flavoured ice cream, tender profiteroles, two kiosks with boiled corn, etc.). Apart from skating around the rink's alleys, this winter park is proposing to take a ride in the figure skating school which opens on the 23rd of November. We also have a «First time on ice» service available. 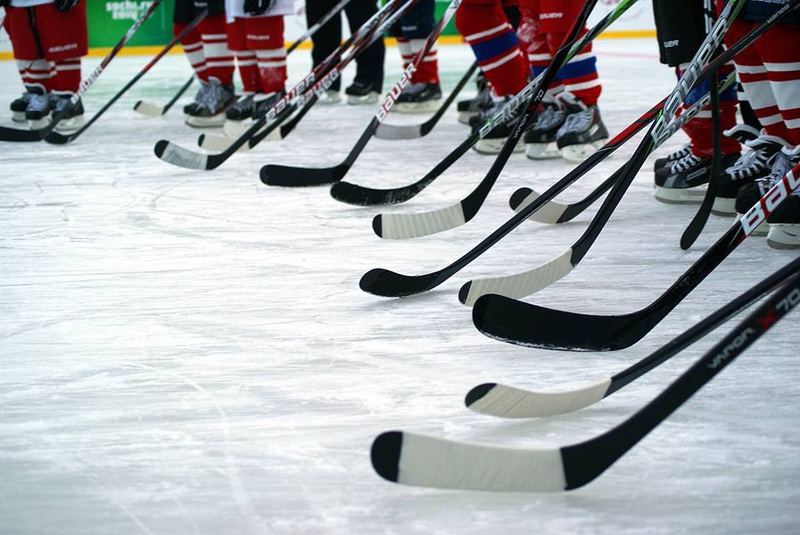 For winter sport lovers we suggest to train on the hockey rink or get some lessons in the hockey school. What’s the price to enter the Ice Rink? 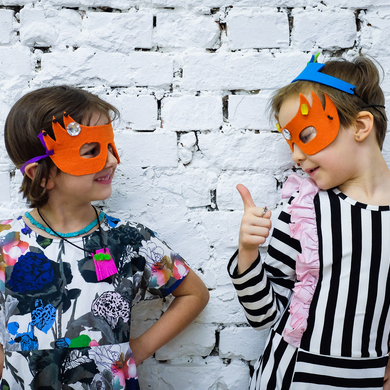 Be aware: children (aged 6-14) are allowed to skate only with adult assistance and only in protective helmets! Working days (except Mondays): from 10:00 till 15:00 - 150 rub. and from 17:00 till 23:00 - 150 rub. Weekend and national holidays: from 10:00 till 15:00 and from 17:00 till 23:00 - 200 rub. Working days (except Mondays): from 10:00 till 15:00 - 200 rub. and from 17:00 till 23:00 - 250 rub. Weekend and national holidays: from 10:00 till 15:00 - 300 rub. and from 17:00 till 23:00 - 350 rub. It's easier with the pass ticket! From 10:00 till 15:00 - 2 250 rub. and from 17:00 till 23:00 - 2 250 rub. 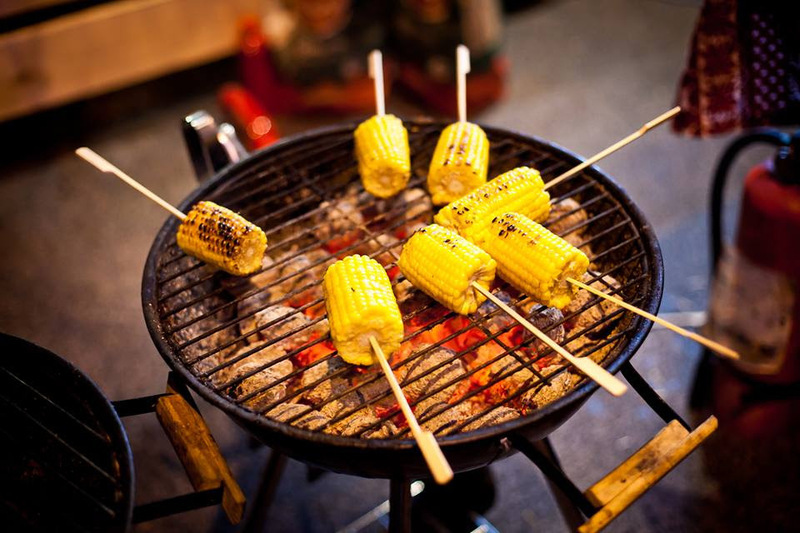 From 10:00 till 15:00 - 4 500 rub. and from 17:00 till 23:00 - 4500 rub. From 10:00 till 15:00 - 3 250 rub. and from 17:00 till 23:00 - 3 250 rub. From 10:00 till 15:00 - 6500 rub. and from 17:00 till 23:00 - 6 500 rub. General sponsor of the Ice Rink - Jacobs Monarch. 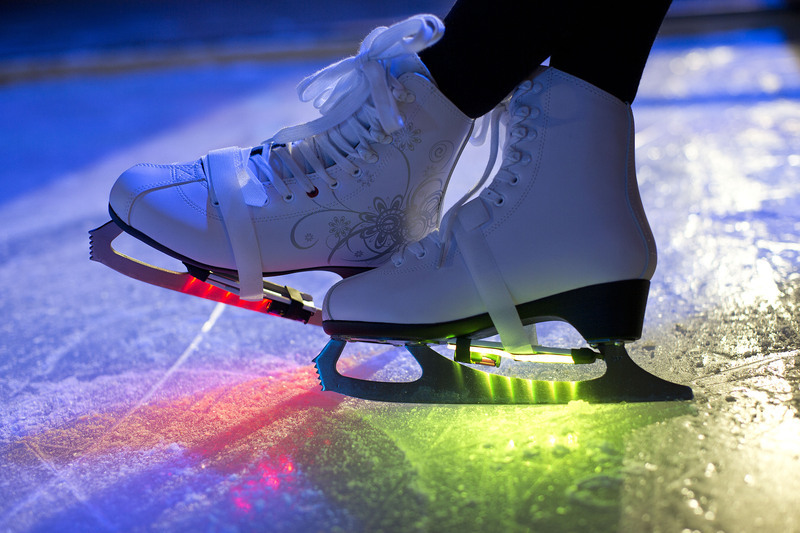 How to buy tickets to the Ice Rink? You may find 15 ticket offices on the territory of Gorky rink, where you can pay the guarantee deposit for skates renting, buy tickets for session and also get some additional services: skates sharpening, rent the locker where you can keep your things, protection set or individual class with the coach. Here you can also get additional services like skates sharpening, rent the locker where you can keep your things, protection set or pay for an individual class with the coach. We kindly remind you that if you use the locker, the entrance to the ice rink is only available through the pavilion located next to the ticket office. If you bought the ticket via the service «Rambler Kassa» you’ll get an email with individual number. With this number you should proceed to pavilion №3, ticket office №9 (close to the summer cinema «Pioneer»). If you bought a ticket via «PrimePass» service you should proceed to the pavilion №4, №13 (close to the Sports centre) or to the automatic ticket points №1 and №2. How to buy pass tickets? It’s quite easy: proceed to the ticket office, located near each pavilion and buy the pass ticket. Then you will get the card for 5 or 10 entrances and go skating! Don’t worry if you forgot how many times you visited the ice rink: the pay-gate you are passing through will show you the amount of entrances left. The renting of the locker is included in the price of pass ticket. Weekend and national holidays: from 10:00 till 15:0 and from 17:00 till 23:00 - 150 rub. Weekend and national holidays: from 10:00 till 15:00 - 250 rub. and from 17:00 till 23:00 - 300 rub.